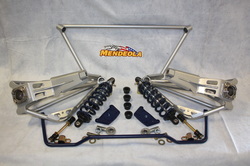 Mendeola's True Track rear suspension kits are the perfect match for our "A"-arm kits. 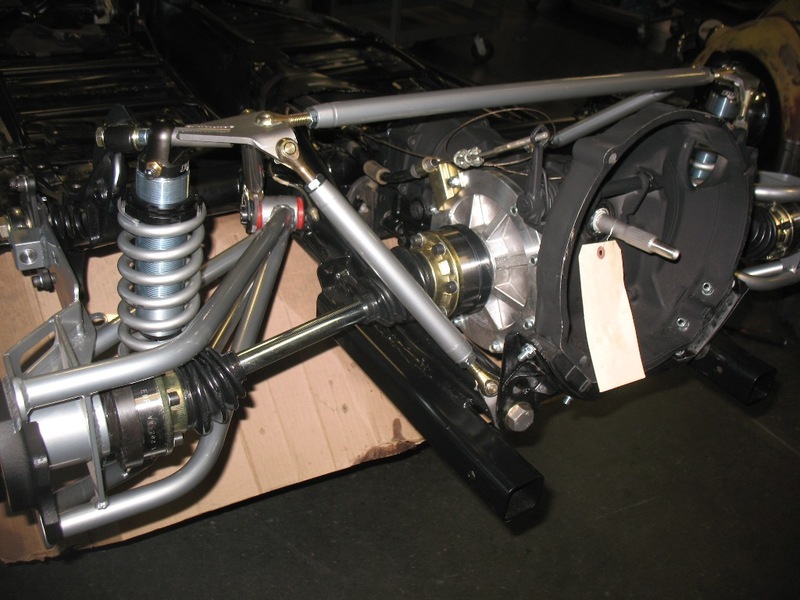 Our rear suspension kits are built to a lowered ride height so that we can set the proper camber into the rear arm. 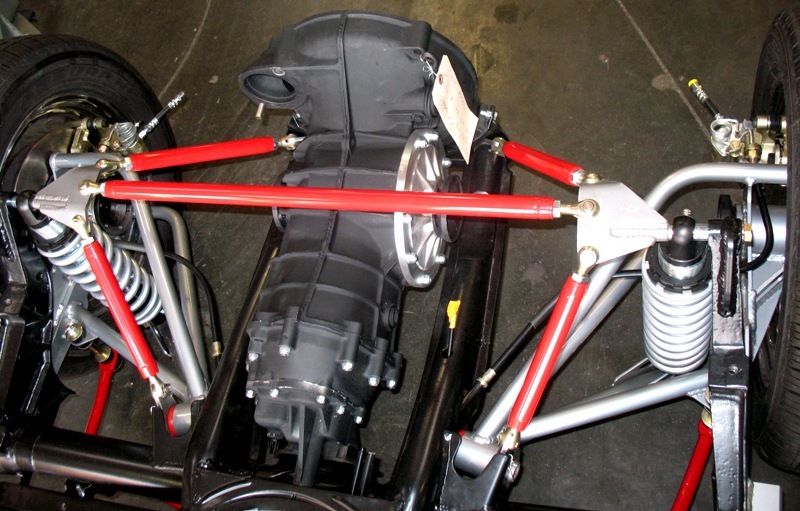 Unlike stock arms, that create too much camber when lowered and thus cause uneven tire wear on the inside edges. 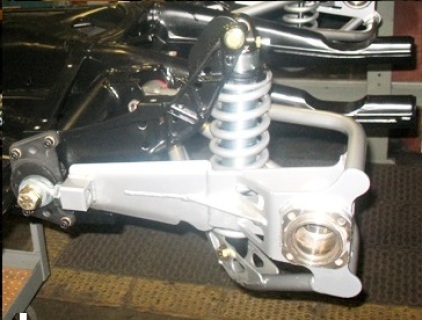 Building them this way is important because of our all new state of the art and patent pending camber/toe adjusters. 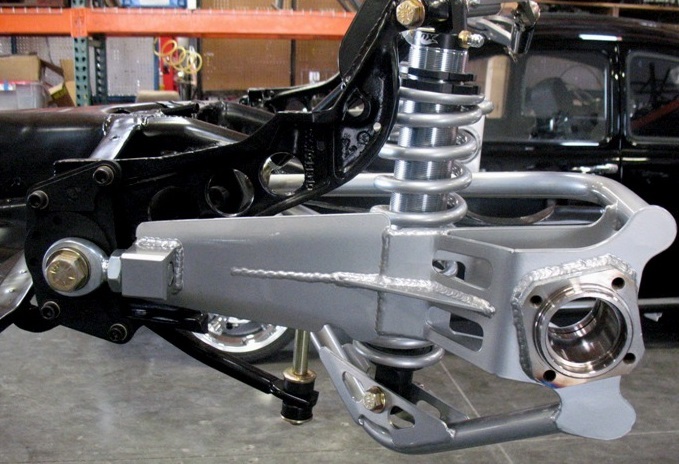 These are an industry first giving you, the final user the ability to adjust not just toe but camber too. What is camber? Camber is the amount that the top of the tire leans in. Too much and you'll go through tires like crazy, to little and the back of the car will be loose, causing you to go around turns sliding the rear end around and possibly losing control. 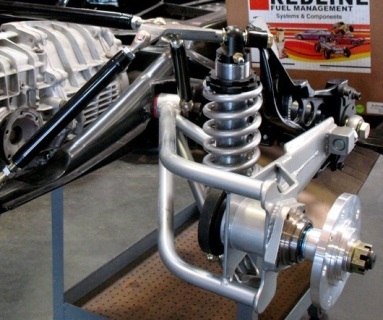 Why is the correct amount of camber so important? This allows the rear tires to grip the corner by keeping the entire tread surface firmly in contact with the ground. More contact, better traction. A NONE REFUNDABLE 35% RESTOCKING FEE WILL BE CHARGED ON ALL ORDERS CANCELD AFTER 24 HOURS OF BEING PLACED.